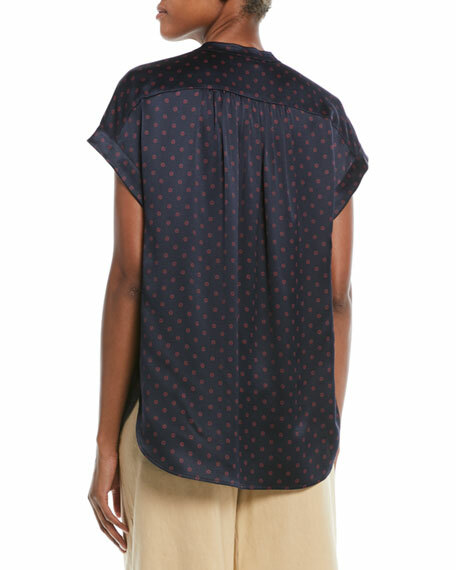 Vince top in dot-print silk foulard. Shirred detail at split neckline; button half placket. For in-store inquiries, use sku #2591897.